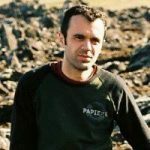 Portrait: Vassilis D. Gkisakis, Greece – Cultivate! “I am an agronomist and a farmer at a small scale olive farm located in a hilly zone of central Greece (Thessaly). My family has owned the farm for 4 generations. My very first steps were, literally, among the olive trees, which has undoubtedly contributed to my decision to become an agronomist. The farm consists of an olive orchard, approximately 6 ha, accompanied by another 14 ha of cereals and fallow land. The farm is organically certified and it can be considered of High Nature Value, as it is located within a broader protected Natura 2000 area. We farm using agroecological principles, including high use of associated biodiversity, preserving large strips of hedgerows of native trees and bushes, targeted mass trapping of olive pests such as the olive fly and establishment of on-farm semi-natural habitats for beneficial insects (parasites and predators of olive pests). Irrigation water is saved from a neighbouring brook as well as through rainwater harvesting, making use of warehouse roof-tops connected to tanks. To improve our soils, we practice no-tillage. Instead, we cut the weeds which provides a valuable mulching layer, helping to save irrigation water and considerably increasing soil fertility. We fertilise by using legumes like vetch, as well as manure provided by a nearby sheep livestock facility, owned by a related family, and other minimal inputs, such ash residues and trace minerals (Boron). As a result, our soil analyses of the last years demonstrated a steady organic matter level increase in the orchard. The productivity of our table olives is remarkably high, despite our low input approach; we have reached peak harvests of approximately 2,5 tons of olive/ha, although alternate bearing is a frequent phenomenon in olive production. We store and process the olives in large tanks, treating them with water and salt so they become edible. We usually sell the olives as well as olive oil in open farmer markets and local grocery stores. This provides us with an income that is at least three or four times better than if we would sell to a middleman. Indeed, the income of family farms in Greece is generally low, which means that today, farming often provides only complementary income. The main challenge for Greek olive producers and the rural sector as a whole will be to fully exploit the potential that high levels of local agricultural knowledge and a biodiversity-based agriculture can offer, together with socio-economic arrangements such as short, local and independent market chains and cooperatives. 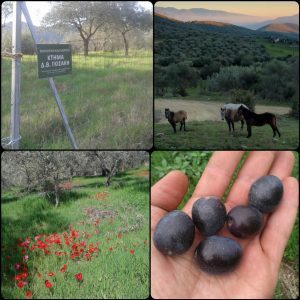 The agroecological approach, although relatively new to the Greek rural sector, allows for the combination of traditional farmer practices with recent innovations, and so helps to meet the sustainability and environmental goals of the future.